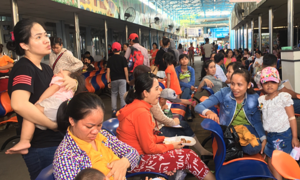 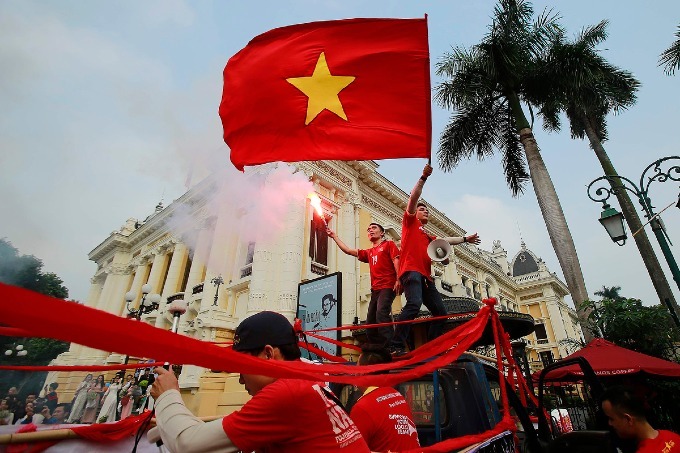 Four hours before the match between Vietnam and Cambodia kicks off, fans flooded along downtown streets in Hanoi to warm up the atmosphere. 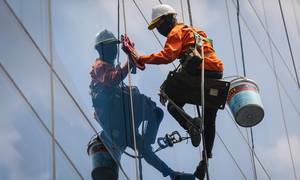 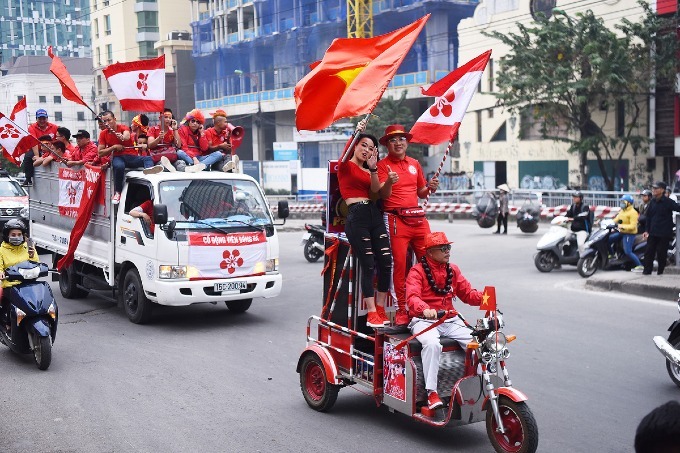 From 2 p.m. on Saturday, hundreds of footballs fans wearing red T-shirts and carrying national flags and banners paraded around downtown streets in the capital Hanoi to heat up the atmosphere ahead of the game. 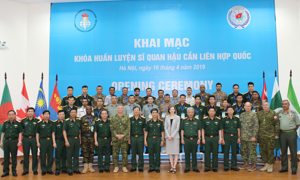 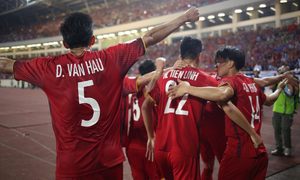 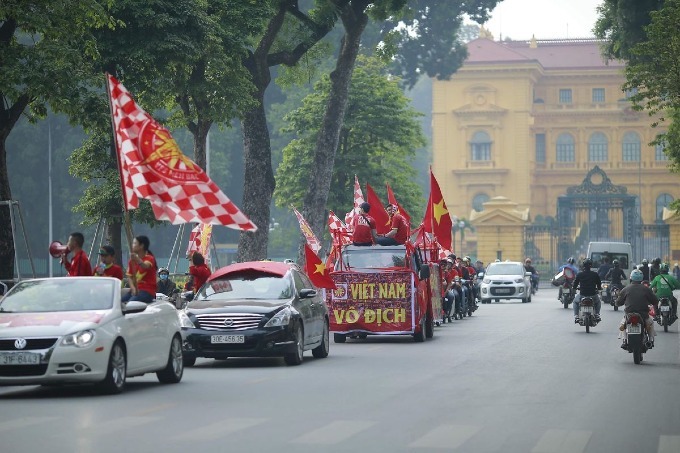 Vietnam enter their last game of the group stage for the AFF Cup 2018 against Cambodia on home ground at the Hang Day Stadium at 7:30 p.m.
A group of fans from the northern port city of Hai Phong, two hours east of Hanoi, also joined the parade. 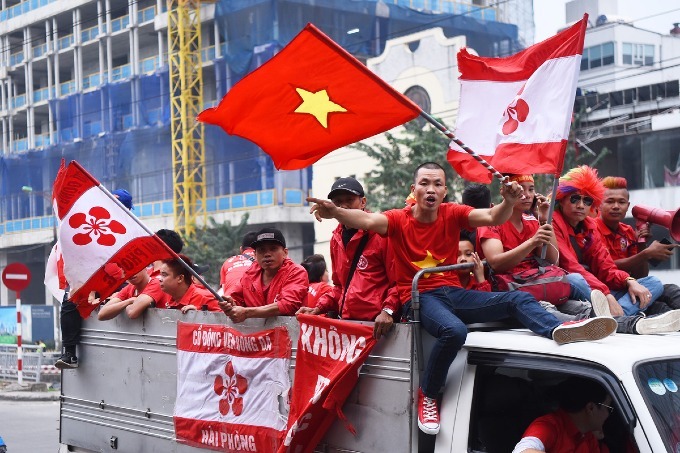 Vietnamese fans waved the national flag and beat drums when their car ran across the streets before stopping at the Hang Day Stadium where the game will take place. 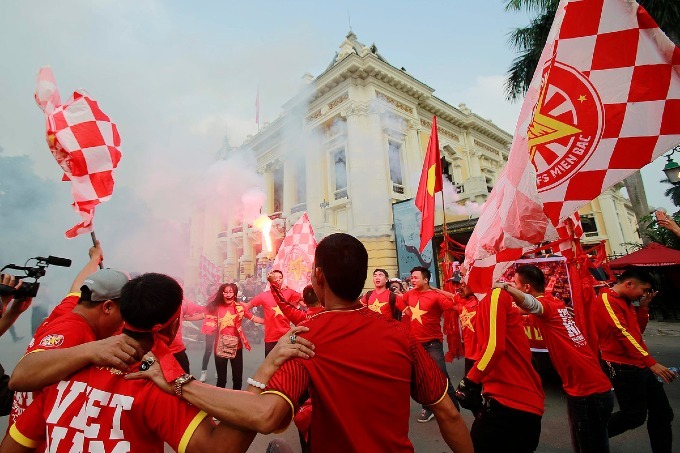 A group of fans burn flares. 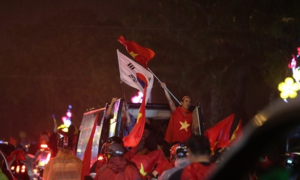 and wave the national flag. 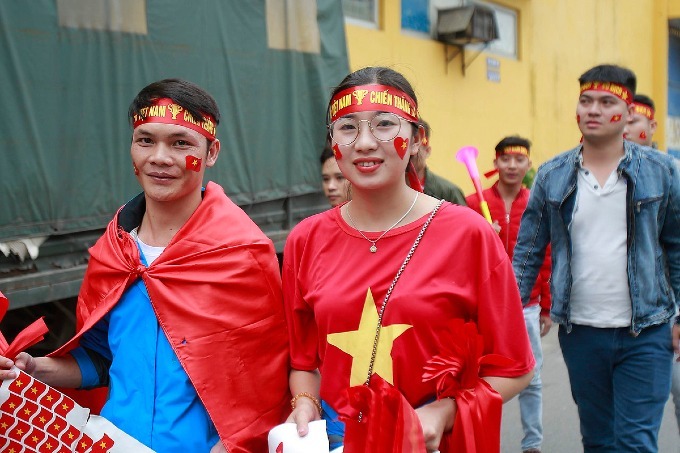 Four hours prior to the game, Hung (L) and his friends showed up in front of the stadum to sell the national flag and decorative items for supporters. 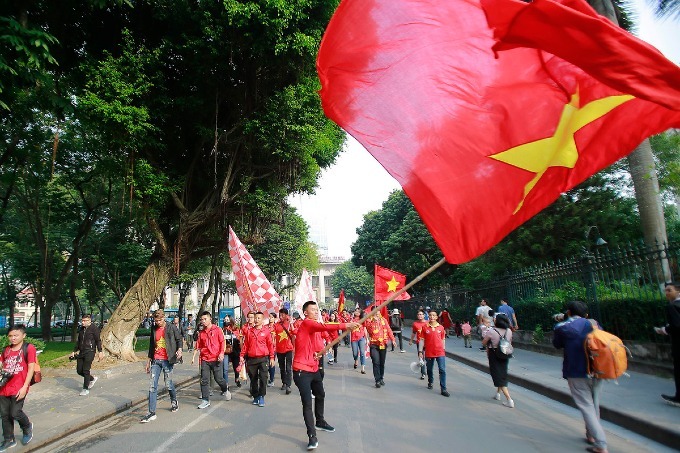 Excited fans waving the national flag walked across the streets.